I downloaded all six forms, which were in PDF format. I know that PDF forms can be enhanced with “fillable fields” -- boxes in which you can type text, place checkmarks, or add a signature, right on your monitor without having to print the forms and use a pencil or pen. I also know that very few creators of PDF “new patient” forms enhance them with fillable fields. The point is to save the medical practice’s paper, not to spare the patient any tedium. Patients get to download forms, print them at their own expense, and fill them in manually. For many years, I have longed for a free app that would let me add fillable fields to forms. But so valuable is this feature to the business world that it has been impossible to find any software developer who was giving it away for free, even for “non-commercial personal use.” But recently, I ran across DocHub, which answered my prayers and some I hadn’t yet prayed. DocHub provides a formidable array of document management services to enterprises. If you need to assemble a 500-page contract that bears the signatures and initials of several dozen co-workers, and be dead certain that no signature is missing, DocHub can save your day. But it's also a great solution for someone who just wants to fill out, sign, and deliver a single document. DocHub saves users’ forms in its cloud servers, and that is the key to the company’s free offer. Paying customers’ documents are stored indefinitely; those of non-paying users are erased after 24 hours. That’s a good trade-off for me; I’m going to fill out these “new patient” forms, print them just once (maybe), hand them to someone at the doctor’s office, and promptly forget them. I don’t need 23 of the 24 hours that DocHub gives me. If they'll accept them by email, I won't even need to waste a sheet of paper. To make fillable fields on a PDF form, you must first upload it to your free DocHub folder. 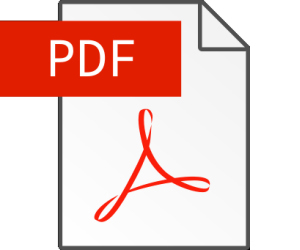 Click the green button labelled "New" to upload your PDF file. Then you can use the “text field” tool to draw fillable fields on the form wherever you need them. But first, you must find the text field tool. DocHub makes that a bit tricky. With a form open, you will see a row of icons on a menu bar above the form. Their text labels appear only when your cursor hovers over an icon. The second icon from the left end of the menu bar is labeled “Manage Fields.” Click on that icon and a vertical column of new icons appears along the left edge of the window. The “text fields” icon is the third one down from the top. Now your cursor is armed with a text field that you can drop and resize anywhere on the form. Beneath DocHub’s text field tool icon are other tool icons. The checkbox and signature tools are probably of most use to us casual form managers. There are several ways to create a legally valid signature in DocHub. You can scribble a signature on your smartphone’s screen; upload a scanned signature from your computer; draw (or scrawl) a signature with mouse and cursor; or type your name and choose from several signature style fonts. All of these methods create a signature that is legally binding when it is inserted into a document. You can save multiple versions of your signature, but only for a day. If you prefer not to use paper at all, you can send your completed PDF by email. Click the icon at the top-right of the DocHub screen, and select the Send option there. You can also use the "Download / Export" option on that dropdown to save a copy of the modified PDF to your computer. It would be nice if the creators of forms made all their fields fillable. But few do so, especially in the medical profession. Tools like DocHub help you create neatly completed forms and even sign them without searching for a pen. Avira Free or Paid - How About Neither? Most recent comments on "[HOWTO] Fill and Sign PDF Forms Digitally"
One more vote for Foxit Reader. There is a "Comments" area, the gives you a typewrite sort of function. I can see no advantage to using your DocHub, for the way I fill in forms. It even lets me pin a scanned copy of my signature. "256-bit SSL encryption, OAuth 2.0 authentication and redundant, encrypted storage"
But, I too, use FoxIt Reader and have been for years. And after getting my ScanSnap scanner, I got the full Adobe Acrobat bundle, so I'm all covered. So, yes, what is that they are doing that folks can't do with the FoxIt Reader and even Nitro Reader 3? Thanks, Bob. I just filled out one of those. Will remember for the next time. As usual, you're the greatest! I've used Nitro Reader 3 for several years. It is free and offers a simple Type Text button to place text wherever you want it. A QuickSign button lets yous place a signature (from an image file) wherever you want it. You save the document to your computer then edit when you are ready. Free and easy to use. There is a Pro version that offers more functions, but for what you've dicussed here, the free version is more than adequate, and no personal info required! Forgot to add that Nitro Reader 3 is also a printer function to convert documents to PDF format. Another plus. Thanks, Bob, I tried out DocHub just now and was impressed. It does exactly what I need, on a very occasional basis, and it was fairly intuitive. I definitely expect to make use of it in the future. Another vote for Foxit Reader free version. I too have been using it for years and it does it all. Another vote for Nitro Free PDF. I've been using it for a number of years as my default PDF application, with no problems. And I've used it just as you did, Bob. After entering my data, answers, etc. I can fax or email the completed forms, and then save the set in a file. Never having touched a piece of paper. Bob, your newsletter is the single most valuable email I get. Many thanks for your efforts and please keep up the good work! I have never given my SSN to a medical office; it's not like applying for a loan. If I am paying with cash, the SSN isn't needed. If the office is accepting my insurance, the insurance company has my SSN and Doc's office doesn't need it. Thank you for this information. It is good to know that there are other options available, I like several other have been using Foxit for years (since before fillable fields became even existed I think, at least I had not heard of fillable fields when I started using it) to fill in forms even when the forms were not created with fillable fields. The only downside to it is that it does not have grid lines, at least that I am aware of. It also does not have all the ways to sign the document that DocHub has, but I believe it is capable of adding a scanned signature. I tried to read your DocHub article but all I could see were a page full of ads. What a waste of time! If you use Adblockplus, ALL the ads totally disapear. For those on the Mac platform, the included Preview program does everything you are describing. I read your articles avidly and while I realise that a lot of the content can be aimed at the American Market (I am in Australia) I still pass on a lot of what I read to my Computer Club consisting of mainly of people over sixty. I do have a concern that you state that you had longed for years for a free software system that offered the ability to fill and sign PDF documents then intimate that these same tools are available in Adobe Reader! I recommend to my Computer Group that they use Adobe Reader to do this type of fill and sign as most of them shy away from anything to do with the 'Cloud', and it is free. Although I have made these comments above, I still say 'Great asset' these 'Ask Bob' articles. Thank you. OMG, thank you WHD! I had no idea that Preview could accomplish this task. This is the best news! I needed to fill in a PDF form the other day. Thank goodness I read this article before working with the document. I first tried some of the suggestions listed in the comment section. I'm not sure what version of Foxit was referenced. I downloaded the latest version 9.1. It would not install. It just disappeared. So I moved my document to Google drive and opened Google Drive on the web. Then I found and installed the DocHub app to my google drive on the web and presto chango, it worked! It was not difficult to get going with it. I was very happy with how it worked. Later I went back and deleted the documents from the DocHub website so they wouldn't float around anywhere. Just a follow-up to my earlier comment: I had a real need to fill out an extensive PDF form today, so I went to DocHub to give it a serious tryout. It worked great! And it was much easier than printing out the document, filling it in by hand, and then scanning it back in. Thanks again for the very valuable information. Great article at a most opportune time. I read it a few days ago and needed to fill out a pdf today. Thanks for all your hard work. Personally, I've been using Nitro Reader 3 for many years. It allows fill forms, signature (saved on Nitro itself), editing & note adding, save newly created doc as editable or secure, create from text to PDF, send email as attachment. Couldn't live without it. I tried DocHub today and it worked great. I prepared all fields (very user-friendly process), downloaded the doc and distributed by email for signatures. Thanks, Bob, for another great tip!